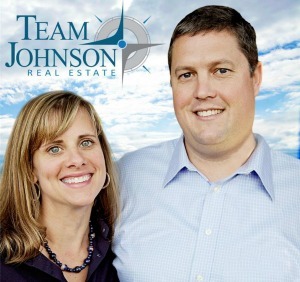 Since opening RE/MAX Ocean Properties of Morehead City in 2006 and Emerald Isle in 2016, Matt and Meredith Johnson have successfully soared to the top of the Crystal Coast Real Estate market. This award winning team has consistently won the prestigious national RE/MAX Platinum Club and Hall of Fame awards as well as top unit production award year after year for Carteret County. Their hard work has made them one of the top RE/MAX teams in the Carolinas. The focus of their business is on large commercial transactions, first time buyers, investment properties, vacation homes, and luxury properties. Their local knowledge extends from the Down East communities of Harker’s Island, Cedar Island and Marshallberg, to historic Beaufort, Morehead City, Newport, Cape Carteret and the Bogue Banks Beaches including Atlantic Beach, Pine Knoll Shores, Indian Beach, and Emerald Isle. Matt and Meredith’s achievements and work ethic began well before the establishment of RE/MAX Ocean Properties. Matt graduated with honors from North Carolina State University with a degree in business and marketing. While at State, Matt played tight end for the Wolfpack’s esteemed football team. After college, Matt started and sold a successful IT company before joining Meredith in Real Estate. Meredith’s real estate career began in Hickory, NC where she became a Top Producer in a large national firm just 7 short months after she became a licensed broker. Additionally, Meredith managed and led the sales and marketing for several large new communities and was the sole broker for developers and builders of multi-million dollar projects. Together, their savvy marketing skills, client relationships and service, and leadership abilities have made them a winning team. A busy real estate career is just one facet of this successful team’s story. Matt is entering his sixth year as a member of the board of directors for The North Carolina Seafood Festival. RE/MAX Ocean Properties proudly sponsors this amazing organization which supports local non-profits. Matt was also the Crystal Coast MLS President in 2014. Matt and Meredith enjoy boating, fishing, cheering on the Wolfpack, and spending time with their two greatest achievements, children Ryan and Cooper Grace.